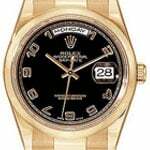 Low interest Rolex Loan in Atlanta at Chapes-JPL since 1980. Got a Rolex? If so, you made an excellent investment. These timepieces have set the standard when it comes to luxury watches for more than a century and today they are one of the world’s most valuable personal assets. The first Rolex watch was created around 1915, but within a decade, Rolex watches were identified as the world’s most impressive and carefully crafted timepiece available. By 1926, Rolex amazed consumers with the new water and dust resistant Oyster Perpetual. 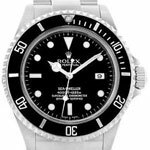 This Swiss luxury watch received a great deal of positive publicity when a swimmer crossed the English Channel while wearing the waterproof Rolex Oyster and claimed the timepiece was still working perfectly following her accomplishment. After so much success and attention, Rolex watchmakers began focusing their efforts on developing new models with special tools uniquely designed to accommodate aviators, deep sea divers, mountain climbers and scientific explorers. These innovative timepieces became known as the watches of achievers. 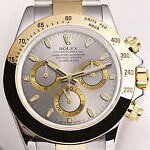 A vintage or pre owned Rolex loan will offer extra money to help with bills, graduate loans or even to stop foreclosure. Today, Rolexes are more efficient than ever with more than a century of watch making experience and new designs such as the Sky Dweller, Yacht-Master, Cosmograph Daytona, Day-Date, Day-Date II, DateJust, DateJust II and the DateJust Lady 31. These watches have not only been improved technically, but their overall appearance is even more attractive than ever. 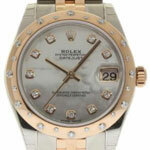 Obtaining such a precious possession like a Rolex Explorer II will set the average consumer back. An expensive watch is often received as a sentimental gift from a friend or a family member. 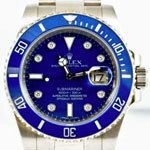 The idea of selling a Rolex, or using it to get a pawn loan is usually disheartening. However, with banks’ tougher lending requirements and fewer jobs available, people are searching for ways to get money and often have no choice but to use their priceless watch to pay for personal and business expenses. There are ways to get money fast by using your Rolex without actually losing the watch permanently. 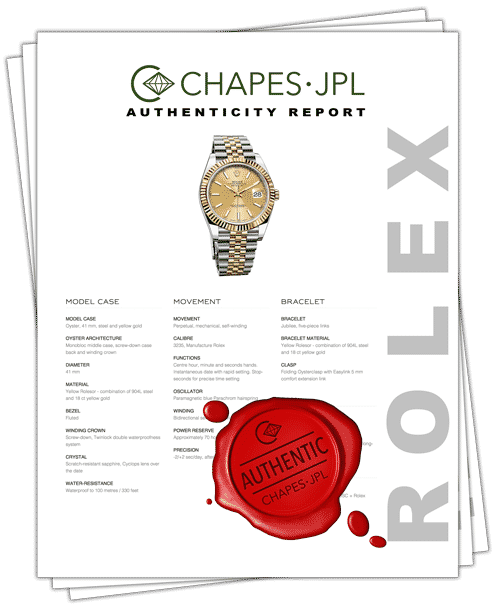 More than thirty years ago, Chapes-JPL began providing individuals and businesses options to get a loan fast by using assets (such as a Rolex Presidential) to get a loan fast at an affordable rate. Our jewelry pawn loan company has grown to service clients nationally with locations in Atlanta and Boca Raton. Unlike a typical pawnshop that charges as much as 25% interest for a collateral money loan, Chapes-JPL grants loans to customers at rates for as much as 85% less than traditional pawnbrokers. We do not sell anything and all Rolex appraisals are conducted in our upscale offices in a completely discreet and safe environment. We also allow clients to make payments towards the principal balance at any time during the loan. Find out for yourself why thousands of people in Atlanta choose Chapes-JPL to sell their gold, diamonds, jewelry and watches. Please note that the images above are sample images only. 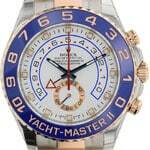 We are not an authorized Rolex dealer nor is it affiliated with the Rolex Corporation or any of its subsidiaries. 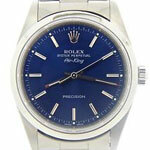 Unless purchased directly from an authorized Rolex dealer, all Rolex watches are considered pre-owned. Datejust, Day-Date President, Presidential, Super President, Pearlmasters, Masterpiece, Submariner, Cosmograph Daytona, Explorer, Sea Dweller, GMT Master, Yacht-Master, Air King Milgauss, Prince, and Cellini are all registered trademarks of the Rolex Corporation (Rolex USA, Rolex S.A.) All trademarked names, brands and models, mentioned on this site are the sole property of Rolex, USA, Inc. and/or their respective trademark owners. 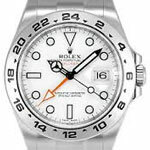 This site, including its owners, operators, and developers, are not affiliated with nor endorsed by Rolex, Rolex USA, or any of its subsidiaries, in any way.We do not sell watches of any brand.